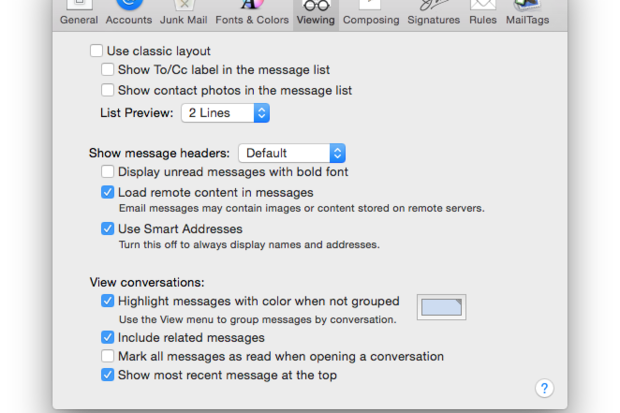 Get rid of those unwanted email address that show up when composing a new email in Apple's Mail. 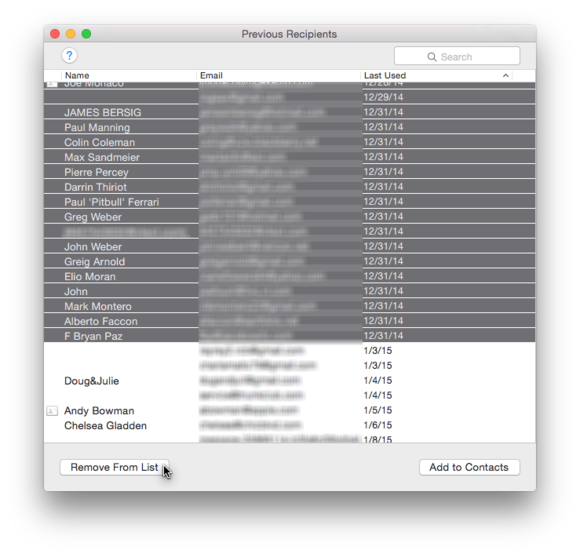 After using Apple Mail for a few years you may have noticed that, when adding contacts to a new email message, a long list of email addresses appears. Some of these may be in your address book, but it’s often the case that these names are people you haven’t sent messages to in years or that you emailed once, but have no intention of emailing ever again. Why the long memory? 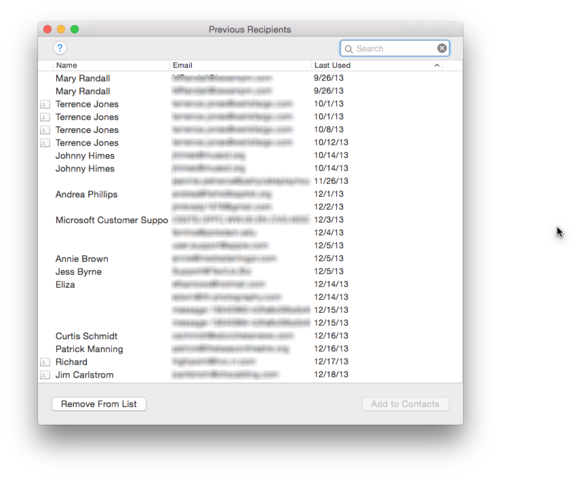 Apple’s Mail app, for the sake of convenience, collects the names of everyone you send email to so you don’t have to chase down an email addresses for people who aren’t in your Contacts app. It’s a nice feature, but may make addressing email messages a little messy after a few years go by. Fortunately, you have a couple of options for cleaning up the mess. Apple’s Mail app has a feature called Smart Addresses that’s designed to make it easier for you to see who you’re sending email messages to. Instead of displaying names and addresses in Mail’s To: field, Smart Addresses just display the name of the email recipient. One of the benefits of using Smart Addresses is the option to delete previous recipients from Mail’s collection of remembered addresses. 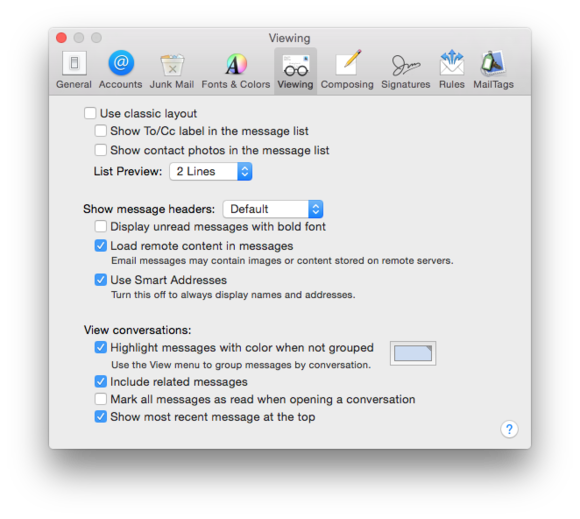 Selecting the Mail menu and choosing Preferences. Checking the box that says Use Smart Addresses. 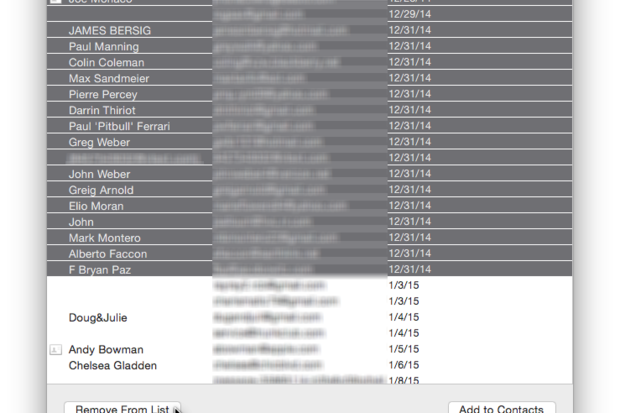 Once you enter the ancient email address you should note that there’s a small arrow next to the recipient’s name. Click that menu and included in the list of menu options you’ll see an item that says, “Remove from Previous Recipients List.” Select this item and this ancient address will no longer appear when you address a new email message. Granted, this is a pretty tedious way to have to remove old email addresses and, thankfully, there’s a way to bypass the tedium. 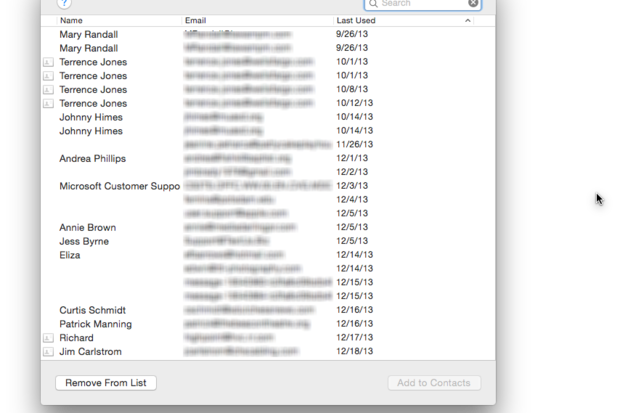 With Mail open, select the Window menu and choose Previous Recipients. Click the Add to Contacts button at the bottom-right of the Previous Recipient’s window. Search for the name of the contact you just added. If two contacts appear for the contact you added, select both contacts. Click the Last Used column header until the oldest date appears at the top. Click the first address appearing in the list. Scroll to the last date you want to delete address for and shift-click that contact. Click the Remove From List button. You should note that this will not delete any contacts from the Contacts app, it only keeps mail from remembering past recipients.